This year, San Diego Gas and Electric (SDG&E) became one of the primary investors in the Catalina Solar Project located in Kern County. SDG&E signed a 25 year power purchase agreement to obtain electricity generated by the solar energy station, which is expected to power some 35,000 homes in the San Diego area. The project, which was built in conjunction with EDF Renewable Energy, is currently the eighth largest photovoltaic solar power plant in the world. 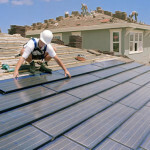 If you’ve been thinking about installing solar panels on your property, now could be good time. 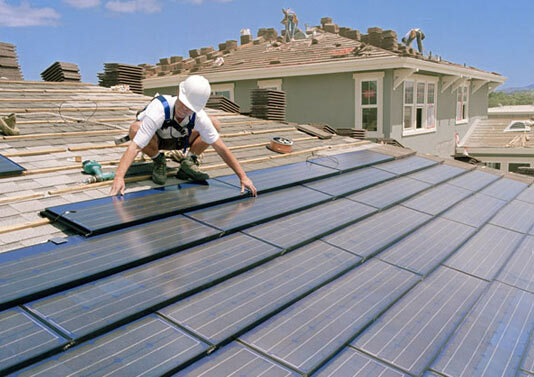 The California Solar Initiative (CSI) is currently offering a rebate program for any SDG&E customers who choose to install solar panels on their homes. Users of solar energy systems are also eligible for a 30 percent federal tax credit. To learn more about solar power in San Diego, visit www.sdcounty.ca.gov/gosolar. Two local telemarketers were sentenced to prison Tuesday for defrauding homeowners to the tune of $11 million. Shelveen Singh, a lead telemarketer for the 1st American Law Center, plead guilty to one count of fraud and was sentenced to nine years in prison. During the hearing, U.S. District Judge Roger Benitez called the 26-year-old Corona resident a “dirty businessman” who made money by taking advantage of vulnerable homeowners. The 1st American Law Center scam involved promises of loan readjustments, in which telemarketers were encouraged to say just about anything to close a sale. False promises included the company’s claim to have been in business for more than 20 years, a money-back guarantee, and assurances that funds wouldn’t be touched until the customer was completely satisfied. As you might expect, all of those promises turned out to be empty. Instead of using their customers’ money to modify loans, the 1st American Law Center spent the cash on company expenses. When callers asked to speak with former clients, they were directed to employees who posed as satisfied customers. Unfortunately, that kind of low-level fraud wasn’t enough for Shelveen Singh. According to court reports, Singh would withdraw customers’ funds without their permission and threaten them with physical harm should they say anything. Singh even impersonated a law enforcement officer on occasion, threatening clients with arrest if they didn’t pay up. By the looks of the filings against 1st American Law Center employees, Singh was just one of many. Johnathon Hearn, a 31-year-old Oceanside resident, was also found guilty of telemarketing fraud and was sentenced to two years in prison. Three others, including Gary Bobel, Scott Thomas Spencer, and Travis Iverson, have been found guilty as well. In total, prosecutors believe the scheme defrauded over 4,000 homeowners.